Navigate a new series of easily accessible lectures by Mark Solms in a fun and novel way. The Talking Head is a point of entry into scientific and scholarly literature that encompasses current knowledge about the nature of the mind. Users are invited to explore readings, definitions, images, and more, through multiple portals. You can trace the links between topics at your own pace. Multiple icons appear in an associative network around the ‘talking head’ of the lecturer, inviting you to pursue individual lines of interest. This enables various specialist knowledge bases to be explored in as much depth as you desire. 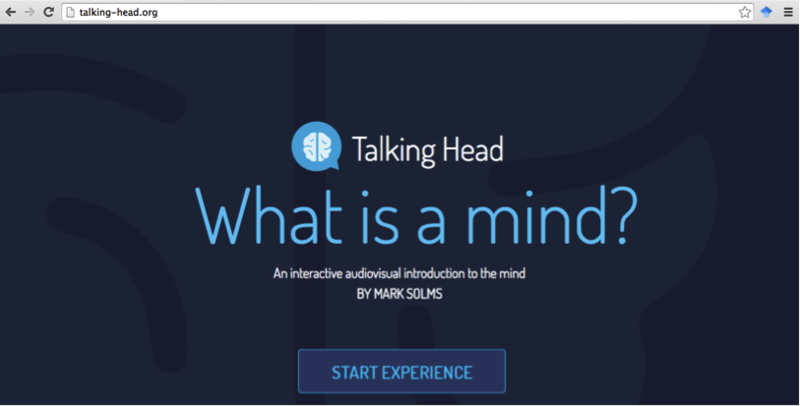 To experience the Talking Head, please click here. A heads up! The Talking Head is processor intensive. and shut down other programs and close unnecessary tabs. This project was generously funded by the Andrew W. Mellon Foundation, and is hosted by the Neuropsychoanalysis Association. 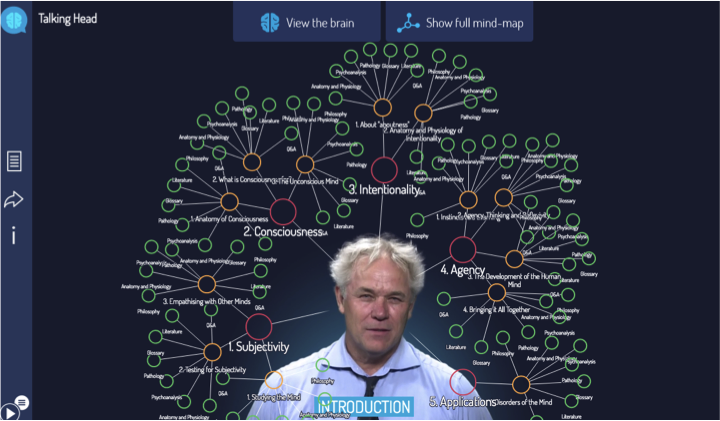 It was developed by the South African firm Formula D interactive, in association with the University of Cape Town with assistance from its Centre of Innovation in Learning & Teaching, producers of the MOOC ‘What is a Mind?’ (hosted by Futurelearn). The Project Head is Mark Solms, with his research team of Ross Balchin, Aimee Dollman, and Coenraad Hattingh.